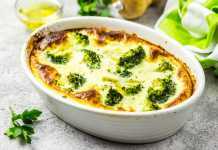 This Chicken Sausage & Vegetable Breakfast Casserole makes a yummy protein-packed family meal when you have the time. 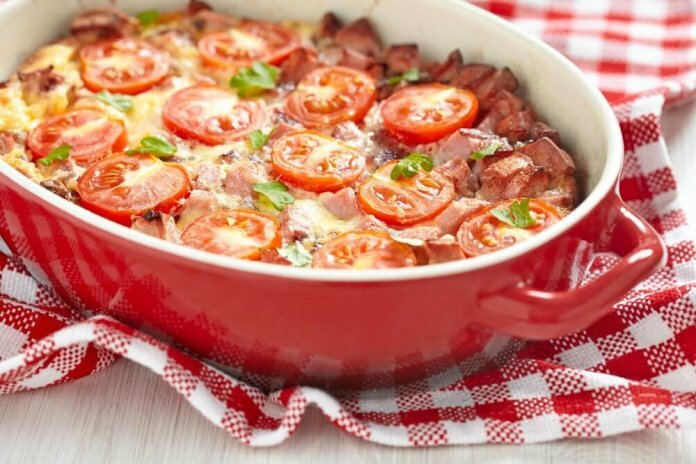 Cancer patients need protein to help them stay well during treatment and the good news is that this breakfast casserole freezes really well. So if you want to have yourself a decadent, filling, yet healthy breakfast every morning, make extra during the weekend and freeze it in individual squares for an easy weekday treat that beats sugary cereal every time. 1. 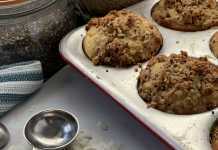 Preheat oven to 325 degrees F. Prepare a 9×9 casserole dish by spraying it with cooking spray. 2. In a large skillet, heat olive oil over medium heat. Add the chicken sausage to the pan and cook until lightly browned, about 5 minutes. Remove the sausage from pan with a slotted spoon and drain on paper towels. 3. Add the pepper and onion to the pan and season with a pinch of salt. Sauté the vegetables for about 5 to 10 minutes, or until the onions become translucent and turn slightly brown. Remove pan from heat. 4. Arrange the chicken sausage, peppers, onions, tomatoes, arugula, and herbs in the bottom of the casserole dish. Pour the whisked eggs on top of the vegetables. 5. Place the casserole dish in the center rack of the oven. Bake 20 minutes or until eggs are set in the center of the dish.